This is it! Watch: Volume 2 of A Breath of Fiction is now available for FREE via Smashwords, the service I use to self-publish. And very soon it will be available via other online book retailers as well, but why wait? Get it here now! This Monday, my short story “Ink” was published in Crab Fat Literary Magazine. You can check it out here. This was the capstone to a very productive period of writing for me. In August, I was enjoying a period of lots of free time for writing. However, I was also swiftly approaching a new semester of teaching. Realizing that my available free time for creating was about to come to an end, I changed focus. Instead of chipping away at larger long-term projects I turned my energy toward completing a number of short stories. Meanwhile, I also started scouring small press literary journals and literary magazines that were accepting submissions. I sent out a handful of stories to a variety of publications and several of them were accepted. Over the last three months I have had three stories published in online journals. A flash fiction story “Light” was accepted by Haunted Waters Press for their Penny Fiction contest. Find out more here. My story “Stray” appeared in Animal: a Beast of a Literary Magazine. You can check it out here. An exciting follow up to “Stray” being published is that the good folks at Animal have nominated the story for a Pushcart Prize. With the enormous volume of terrific work published by small presses every year, I have no illusions about my odds of winning. However, it is an enormous honor to be nominated. I still have a couple stories out there under consideration, and who knows when or if they will find the right journal, but nevertheless, I am feeling pretty excited about these recent successes and am eager for my upcoming Christmas break, when I will again have a little free time for writing. I recently got to write a guest post for my friend’s blog Follow the Flavor. It’s about some of my favorite foods. Breakfast foods! You can check out the post here. This week I participated in Write Night in my hometown. Some cool local writers read their own compositions with a fun mix of slam poetry, verse, and prose, along with serious, comedic, and experimental. I read a selection from one of my works in progress: I’m sorry, but it’s over now. I used to do many such readings back when I was a poet in college, but it’s been a few years. It was a lot of fun to share my writing this way, and I’m hoping I get another such opportunity soon. 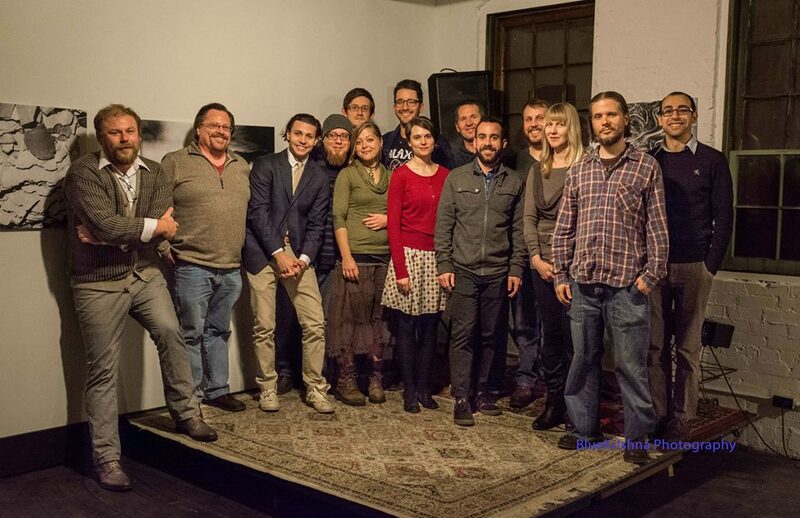 Credit to Ultreia Inc. for organizing the event, Lang Lab South Bend for hosting, and Blue Krishna Photography for the photo.